Most software is under constant development and new features are often added, old ones are updated and improved, and bugs are fixed. If the software on your computer is old and has not been updated for some time, you might not be using the best versions of applications. There could be newer versions of the apps that are better than the ones that are currently installed. IObit Software Updater is a free Windows utility that is designed to combat the problem of outdated software on your Windows PC. 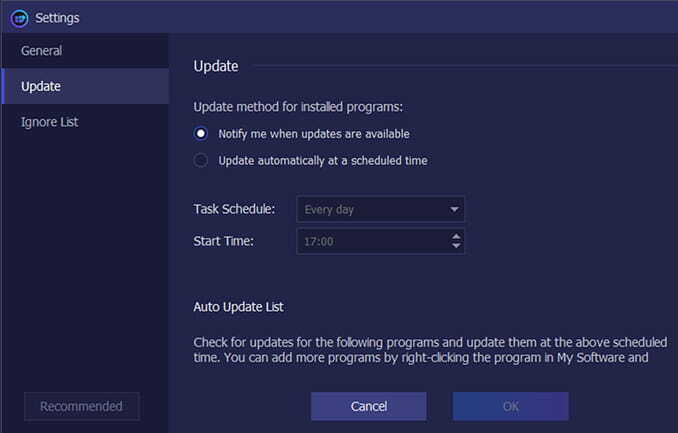 The idea is that this utility looks at what software is installed, checks on the web to see if there are newer versions available, and notifies you or even automatically downloads and installs the updates. The result is that you are always running the latest versions of applications and have the best features and bug fixes. It saves you having to manually check for updates and install them, which could be a long and tedious task if you have a lot of software. That is the theory and thought process behind this utility and it could be a very useful tool for some people, but it is not for everyone. A lot depends on the software you have on your computer and some people may not need it, yet for others it could be a great time saver. IObit Software Updater has a very clean and simple interface. It looks for installed software and lists it. Next to each item is the current version number and, if there is a newer one, the latest version number is below. At the right it either says Up-to-date or there is an Update button. Click the arrow on the button and there are options to update the application, set it to auto-update, or ignore it. Lists of apps that you want to automatically update or ignore are kept and can be accessed in the settings. Automatic updates can be scheduled to take place every day or on a specific day of the week and at a specific time. For example, you could schedule software updates every Wednesday at 5pm if that fits in best with the way your PC is used. IObit Software Updater has a secondary function and it provides software recommendations. These are organised into categories including browsers, security, social, multimedia, runtimes, and utilities and tools. Checkboxes enable you to choose single or multiple items and they can be installed with a click of the Install button. 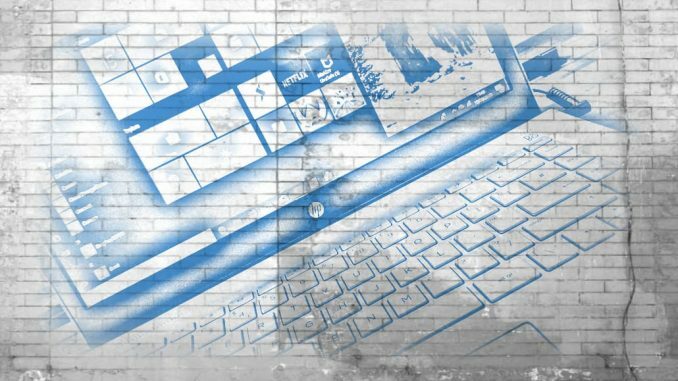 The list of recommended software is small, but good and you will probably find some useful software to add to your computer. 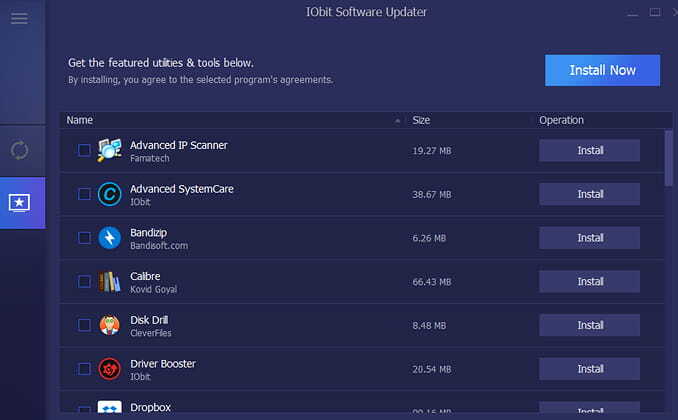 The best feature of IObit Software Updater is that it automates software updates and saves you time and effort finding, downloading and installing them on your Windows PC. It could be very useful for people with a lot of software. This Windows utility is not for everyone or every application though. Some applications automatically update anyway, such as Google Chrome. The updates take place in the background and are automatic and often not even noticeable. It just does it. IObit Software Updater is not necessary for Chrome and other apps that auto-update anyway. Some applications include automatic checking for updates and they notify you that newer versions are available when they are run. Some even have a simple button or menu option to download and install the update, so the effort required to update is minimal. Windows 10 apps are not included in the update process, nor need they be. The Windows Store app automatically checks for updates and downloads and installs them automatically. Not all applications are detected by IObit Software Updater. I use several portable apps that are not installed and this means they are not listed and cannot be updated. A couple of installed applications were not detected and presumably they were not listed because Software Updater is unable to update them. I recommend you try IObit Software because it could be useful for some people and it is free. However, not everyone needs it.